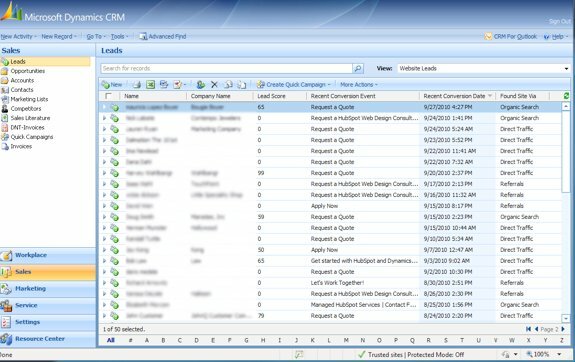 Your company's CRM is central to your sales and marketing operations. If your CRM isn't integrated with your website's lead generation activities, you're missing out on valuable process efficiencies, reporting, and sales growth. 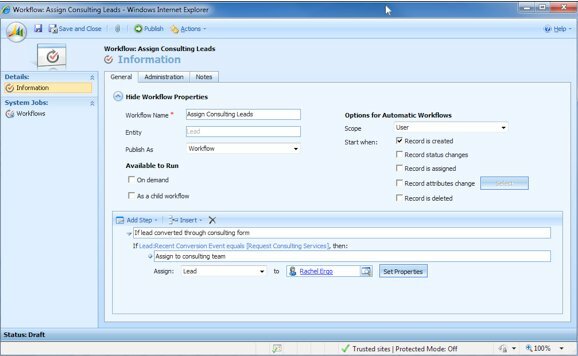 Microsoft Dynamics CRM users can now integrate with HubSpot via LyntonWeb's CRM connector. Assign leads to different members of your sales team based on the campaign, form submitted (conversion event), or lead grade. 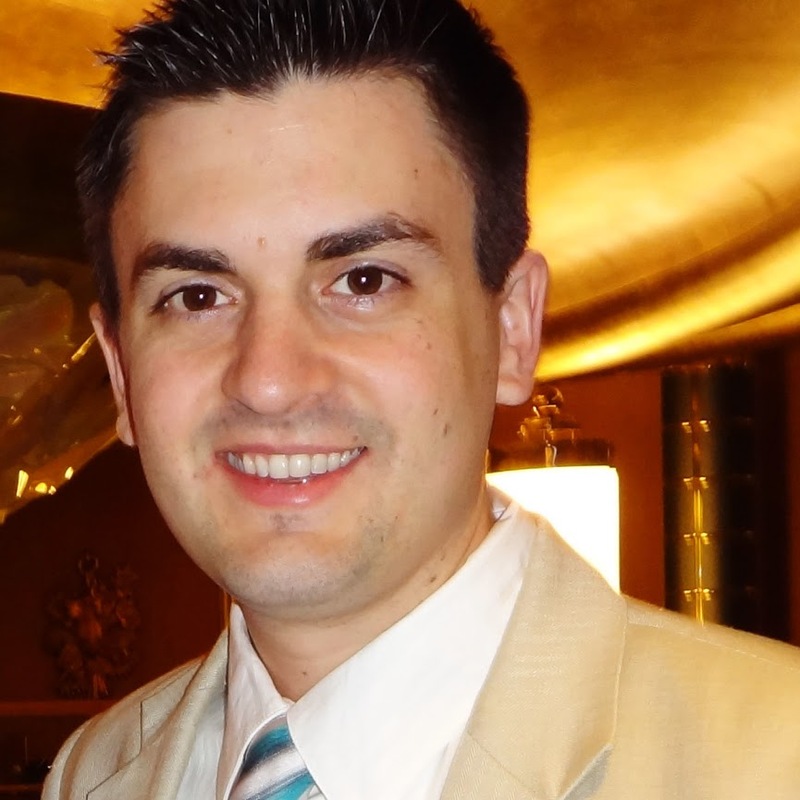 Are your leads sales-ready? Qualify leads based on their activities before assigning them to a sales representative. 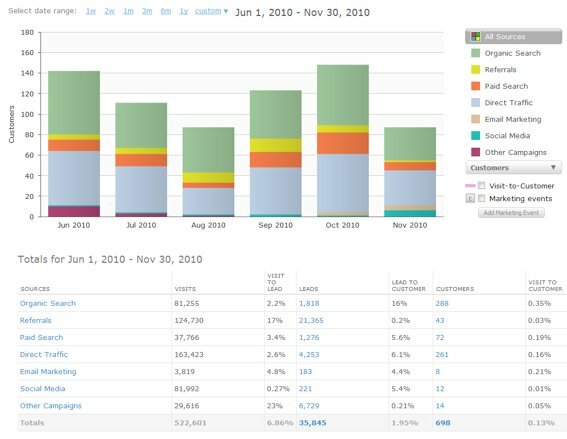 Track the success of your marketing campaigns using HubSpot Closed-Loop Analytics. This custom view returns all leads generated from the website, including their lead grade, the form they submitted, and how they found the website. If you have sales reps for different products/services, assign leads based on what form they filled out. For different territories, assign leads based on their physical location. Need to send leads in a round-robin fashion? You can do that too, with some extra custom code. As your inbound marketing efforts increase the number of leads you're generating, you'll need to make your sales team more efficient. The best way to do that is to qualify your leads so that the tire kickers can keep kicking tires while your sales team focuses on closing. Consider assigning leads with low lead grades to an administrative person for screening. Lower lead grades indicate less interaction on your website, and therefore a possibly lower interest in your company. Use HubSpot's lead nurturing to build relationships with your web leads. The nurturing emails can invite the prospect to sign up for a webinar, download an ebook from your landing page, or fill out a qualification form on your website. Then, in Dynamics, you can choose to assign only the leads that converted more than once. If you ask any qualifying questions on your HubSpot forms, you can use the answers to calculate a custom lead score, and assign the leads accordingly. This will require some custom development, but can lead to a very efficient lead assignment workflow as you optimize the logic. Which of your marketing events are generating business? Al closed/won opportunities in Dynamics that originated as a HubSpot lead are automatically sent back to HubSpot as customer conversions. Use HubSpot's Sources report to view website traffic, leads, and customers broken down by traffic source and campaign. You can easily track offline marketing events by tagging campaigns with a HubSpot tracking URL. With the recent launch of Dynamics CRM 2011, you can now enjoy more powerful Outlook integration, new goal management features, real-time dashboards, and a more intuitive user experience that feels as familiar as the Office suite. As you plan your sales and marketing goals for 2011, are you thinking about the alignment between your website's lead generation and your CRM? HubSpot and Dynamics may just be the partnership you're looking for. Learn more or get started with HubSpot CRM integration for Microsoft Dynamics.